Insight 2014, the Message Systems annual user conference, is less than a month away. At Insight 2014, the spotlight is on email. Learn about improving email deliverability, email security, email encryption, email analytics, email engagement, email conversion – the list goes on for a bit. If your job revolves around email then this is the conference for you. To everyone who has already signed up, we’re looking forward to meeting you. For those of you who have yet to register, it’s still not too late. Take a little time out of your day to consider our top 10 reasons why you should join us in San Diego for this gathering of the best and brightest email marketers in the industry! 1. A unique email community Meet like-minded people and learn from one marketer to another. Trust us when we say that you are not alone in dealing with the email deliverability or security issues keeping you awake at night. With so many email experts gathered in one place, you’re likely to find someone who has successfully solved your problem. 2. Top email thought leaders Learn from some of the most experienced email marketers in our industry. Matthew Vernhout from Inbox Marketer, Josh Aberant from Twitter and Ryan Boyd from Groupon are just some of the many top email personalities who are speaking at Insight 2014. 3. Largest ISPs In the email world, ISPs such as Microsoft, AOL, Google and Comcast have the final say on whether your email gets into the inbox of their users. And that’s why our ISP panel has traditionally seen the highest attendance from conference attendees just wanting to learn deliverability tips or pose their own questions to the gatekeepers of email. 4. Largest senders LinkedIn, Twitter, Google and Facebook are not only the hottest tech companies in the world, they are the world’s biggest senders of email and that means they know all about email delivery and security challenges. This year, our big sender panel will focus on email encryption such as TLS – learn why it’s gaining prominence and importance. 5. Live announcements What better way to learn about Message Systems latest product announcements than through our user conference? Be the first to hear about exciting news and what’s in store for our customers in 2015! Learn why the Adaptive Email Network will revolutionize your relationship with ISPs. 6. Hands-on product training Learn more about why Momentum 4.1 is not just your average point upgrade in the Bootcamp track. Enhanced message generation, list management and metrics APIs, webhooks, TLS and SMTPUTF8 support takes the world’s most powerful email infrastructure to a whole new level of performance. 7. Email Best Practices Stay ahead of the knowledge curve when it comes to email best practices. Our Email Best Practices track not only covers evergreen hot topics, but identifies future trends such as big data, security, mobile, APIs and cloud apps. 8. Customer Excellence Awards We’re announcing winners of the Customer Excellence Awards during Insight 2014, so stay till the end and discover if you made the list in 2014! Our Customer Excellence Awards is our way of saying thank you to our loyal customers for their commitment and their innovative use of Momentum to achieve truly spectacular and ground-breaking results. 9. Message Systems University For the first time this year, we’re including pre-conference training in your registration package. If you are an MSU subscriber, you can attend our morning training session on advanced policy scripting on Nov 11. If you’re not an MSU subscriber, we’re giving you a preview of our MSU training in the afternoon with a session on cross-channel communications. 10. 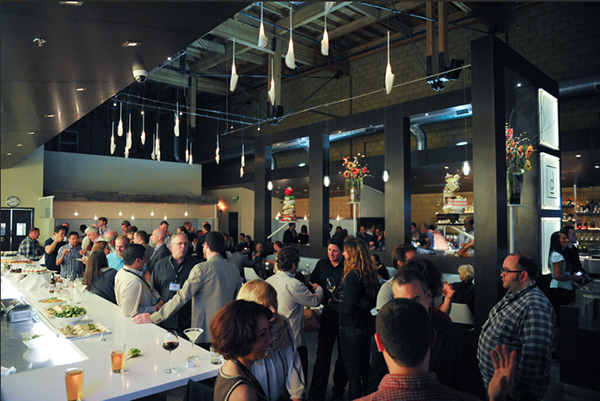 A night out on town Your ticket to Insight 2014 includes dinner and drinks in San Diego’s Gaslamp district. Relax and unwind over some hors d’oeuvres with fellow attendees, while expanding your professional network. Who says you need to keep work and play strictly separate? 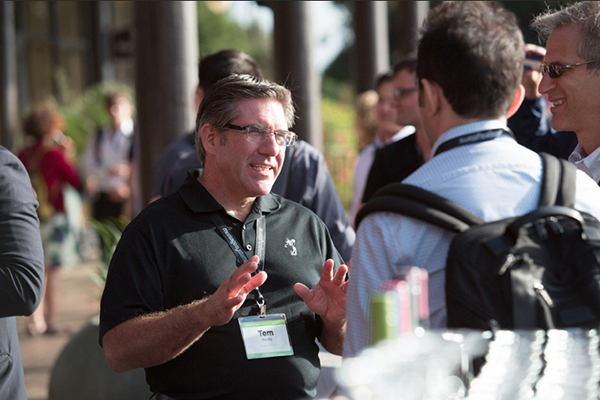 With all these great reasons to attend Insight 2014, we’re sure you can convince your boss to set aside a little budget and secure your spot in San Diego! We’ll see you soon and remember to let us know that you’re attending with #msusercon2014! Join us for our upcoming webinar on March 26th with Blueshift and LendingTree where we will discuss and address the challenges of high-volume senders.